Time is the key to accomplishing all the objectives and goals of your organisation. A goal without a fixed time schedule is often not a goal at all. 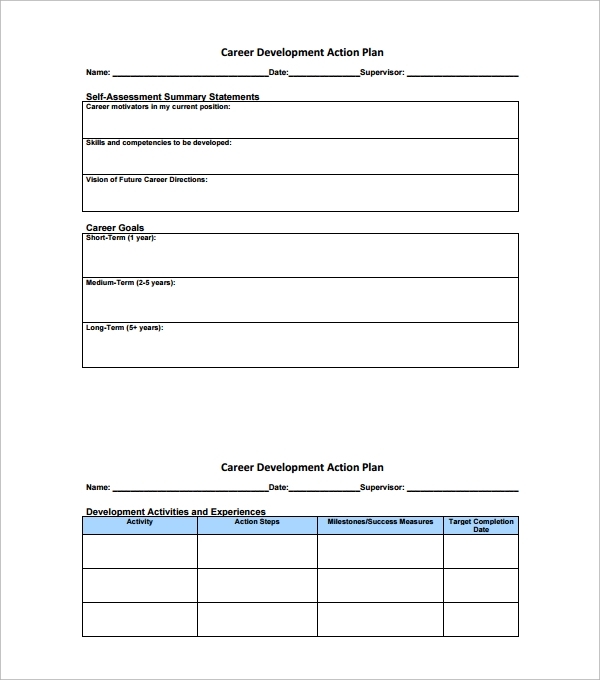 An Action Plan Templates will evaluate ongoing work progress and help to give new ideas for improving quality and productivity. 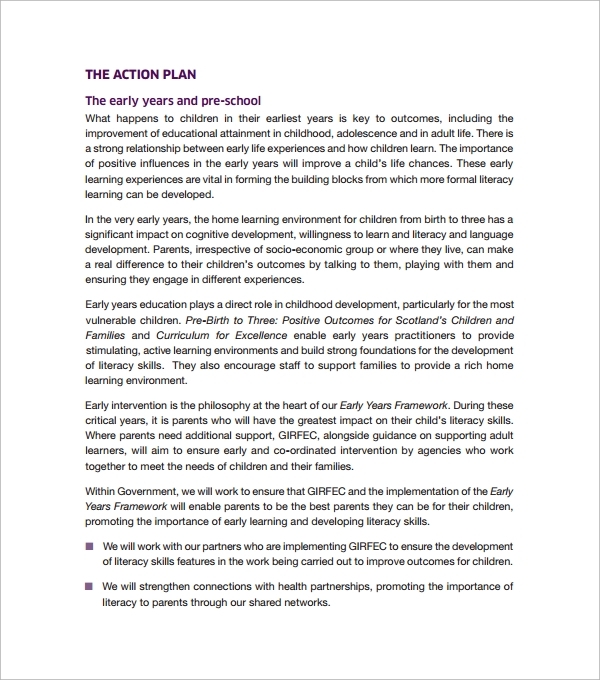 The action plan is all about having a record of data, of who is doing what? Having a data record of ongoing processes, and procedures will help in the process analysis purposes. Process analysis can help find the pain points, thereby letting you focus and develop new ideas to overcome the same. 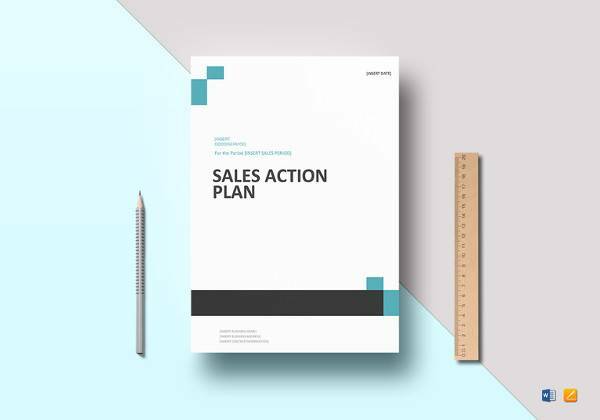 It is vital for any organisation, to develop and maintain a sales action plan in order to maintain hassle free transactions and to enhance sales strategy. Increased sales will improve Return on Investment (ROI) and thereby overall revenue. A sales action plan is particularly helpful in creating an objective while taking care of ongoing sales processes simultaneously. 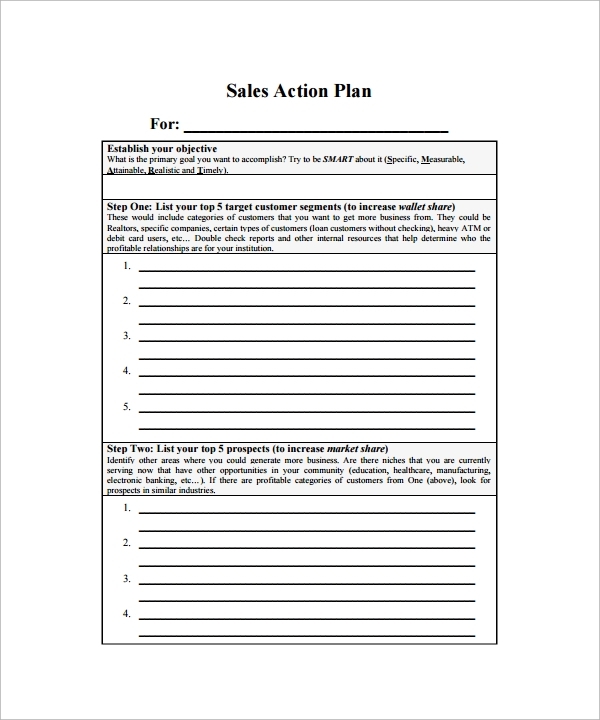 An action plan to improve sales, essentially contain sales related data of the respective company. Sales data will be useful to develop sales strategy that looks into finances and developing an action plan. 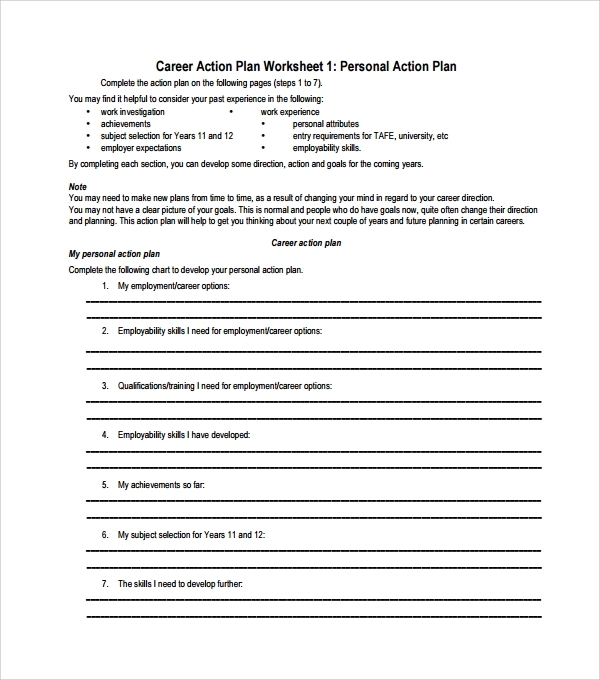 Strategic action plan template is usually preloaded with content that is related to your industry, which is written by professionals, sourced out from happenings in the real world businesses. 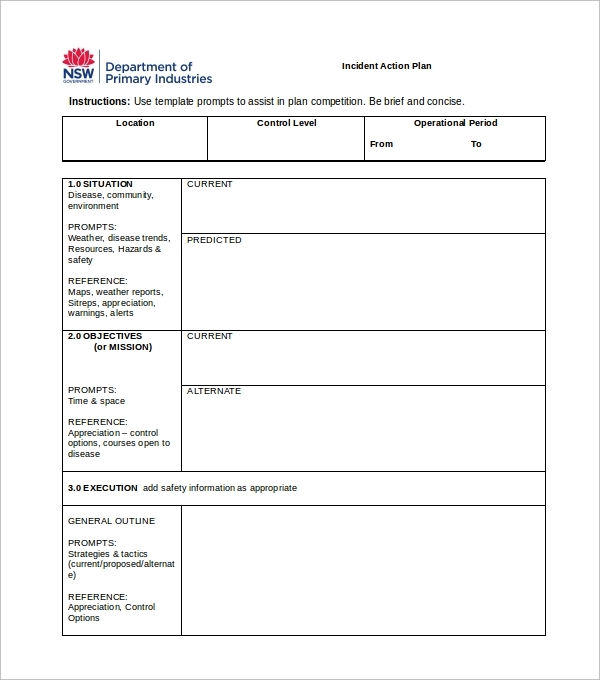 This template helps you as a reference to draft all the necessary details needed to start a new venture. 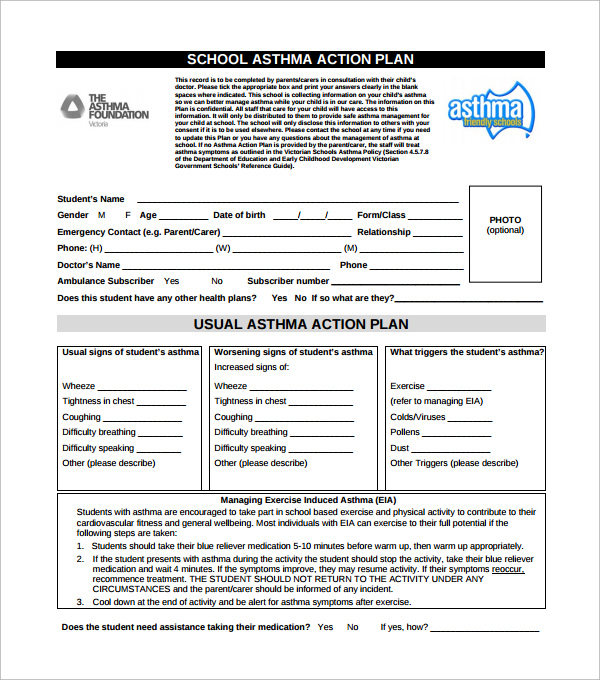 By using this template, time for choosing formal documents is saved. 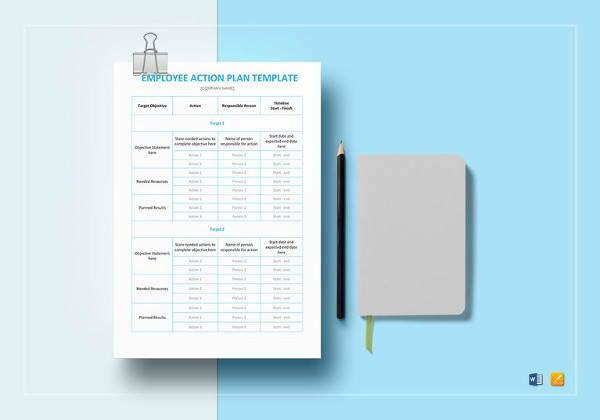 Strategic action plan template discusses a context in which an organisation operates, Helps in setting up a mission and corresponding goal, helpful while recruiting human resources. Federal contractors who have an employee base of 50 and more, and undertake contracts worth of $50,000 are likely to write an affirmative action plan which is usually updated once in a year (annually). 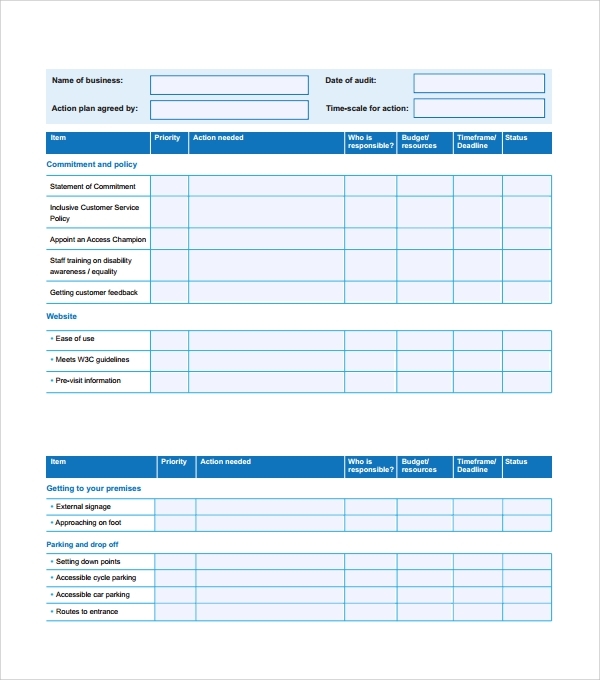 This action plan includes several qualitative measures which help to monitor and compare labour workforce of one contractor with that of the other niches. The affirmative action plan is meant to develop faith in minority populations during recruiting processes. 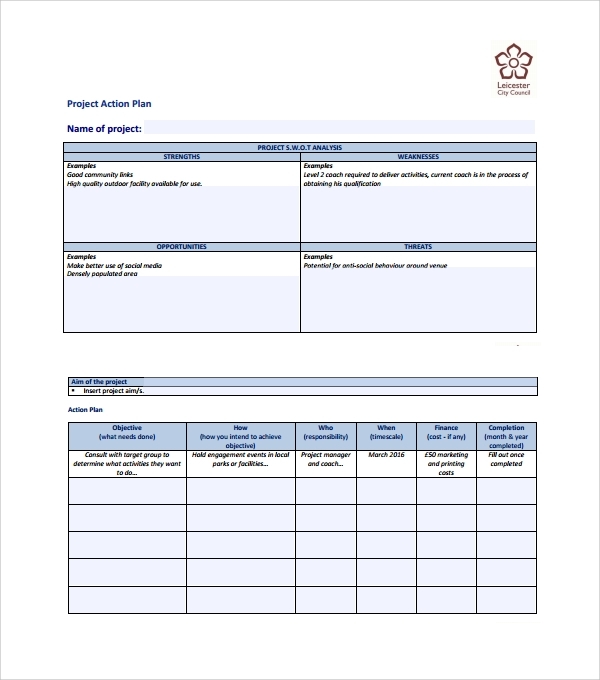 Project action plan template document essentially embodies every bit and the piece of project planning, a number of teams (human resources), the number of members of the team, financial aid, strategy, goals, project time schedule etc. 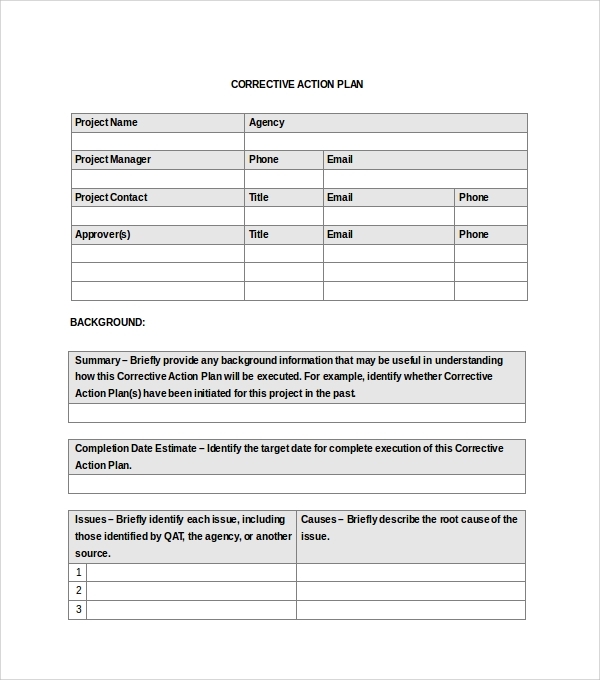 Project action plan helps a project manager to analyse the happenings at any point in time, to change any particular process for good, to obtain the objective within the prefixed time frame. 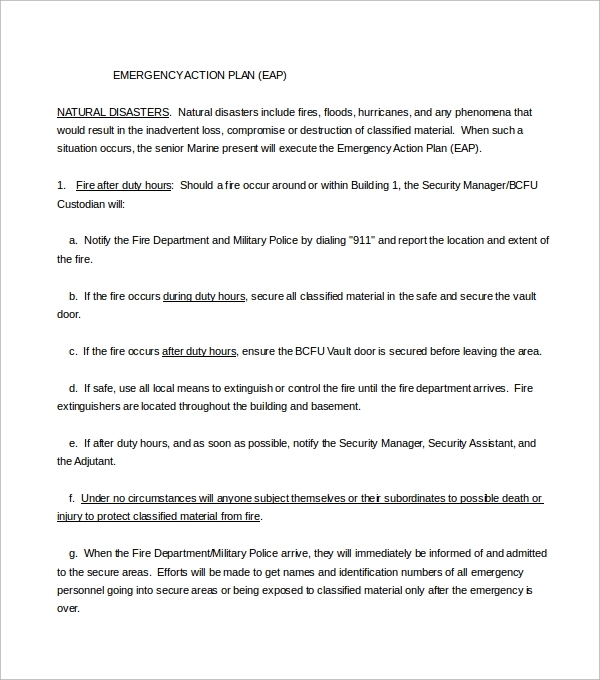 Incident Action plan takes its inception during emergencies. 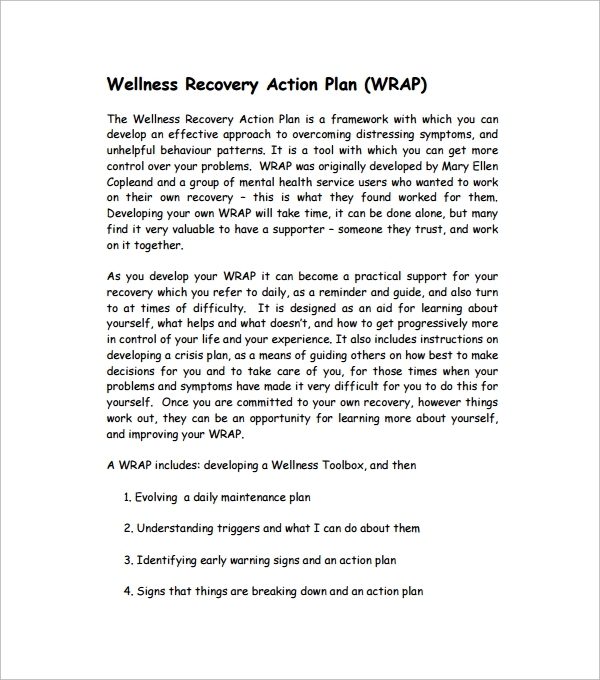 This action plan embodies a series of events that are to be followed during emergencies. There is usually a different set of rules, to be followed, for different types of emergency situations. It is required to change formal procedures of documentation since time is everything in emergencies! With vast advancement in technology, present day schools are approaching a blended learning approach, where students are not just taught in conventional methods but are encouraged to participate in interactive learning sessions. 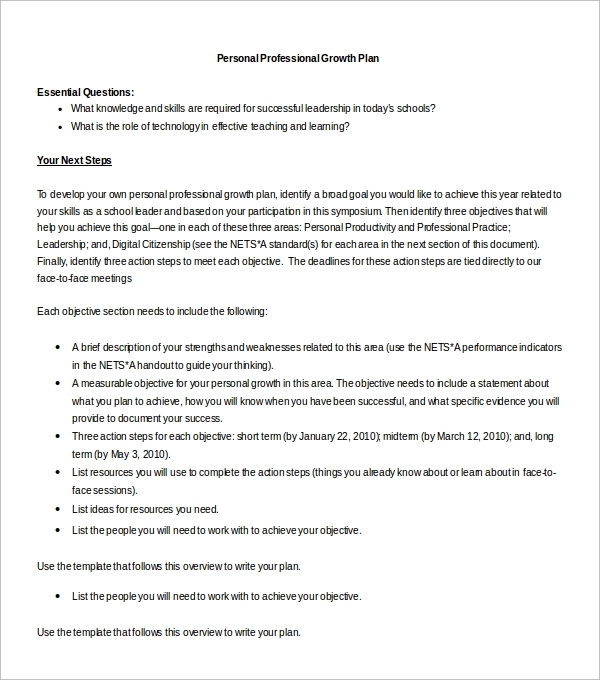 Some of such programs include incorporation of e-learning techniques as a part of innovation, where graphical illustrations and video testimonials are used to engage intellect of the participants (students) School action plan template enables you to develop concise plans and thereby helps you to develop strategies to compete effectively with competitors. If you are looking to start a business and confused about how to write a business plan? 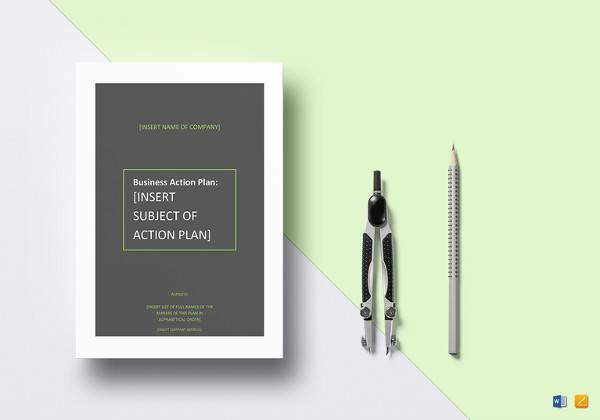 The following word document preloaded with various action plans will help you in writing a suitable business plan. The business plan essentially consists of action plans pertaining to sales and marketing, advertising and promotions, operational policies and procedures, strategies to overcome pain points, etc. With increased number of social media users, nowadays social media marketing is playing a vast role in increasing the visibility of the business. Almost every organisation is maintaining a social media community, which is accessed and managed by a social media administrator. 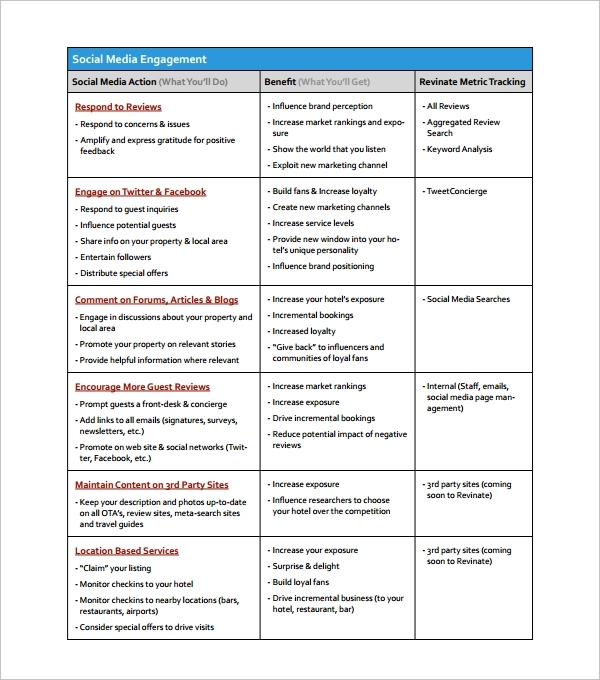 In order to meet the goals of social media campaigns, it is vital to follow a systematic social media action plan. A social media action plan essentially consists of space to enter your goals, to define your target audience, to measure your campaign success through organic likes, to measure engagement rate, and to maintain good relation with your audience. The core of the marketing team of any organisation is to find the potential audience. In order to find the potential audience, a marketer should follow the specific set of predefined action plans. 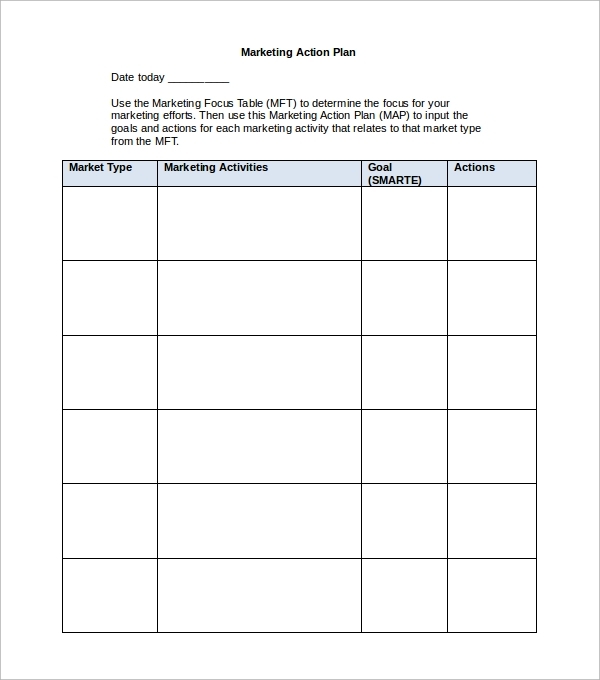 Following is the marketing action plan template which helps you to gain insights on ideas that work into actions. 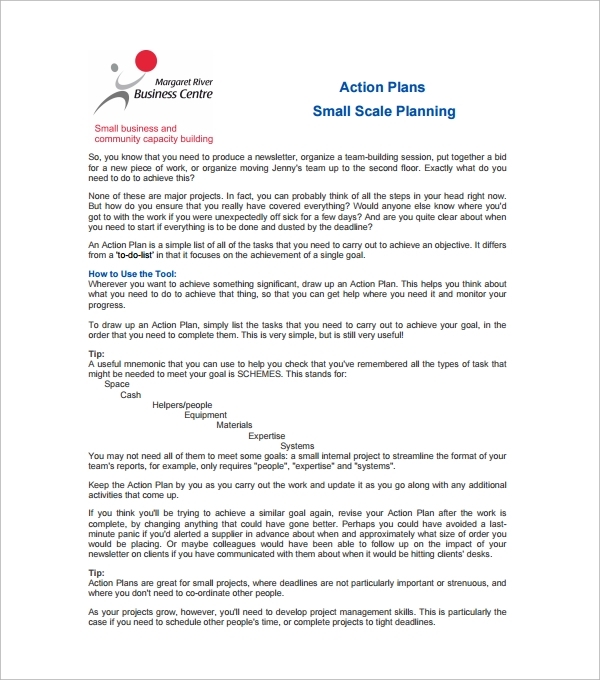 A marketing plan template consists of an empty space to enter what to do? Whom to target? Resources needed, and when to do what. Are you looking to establish a startup, but worried about how to develop a simple idea into the profitable business? 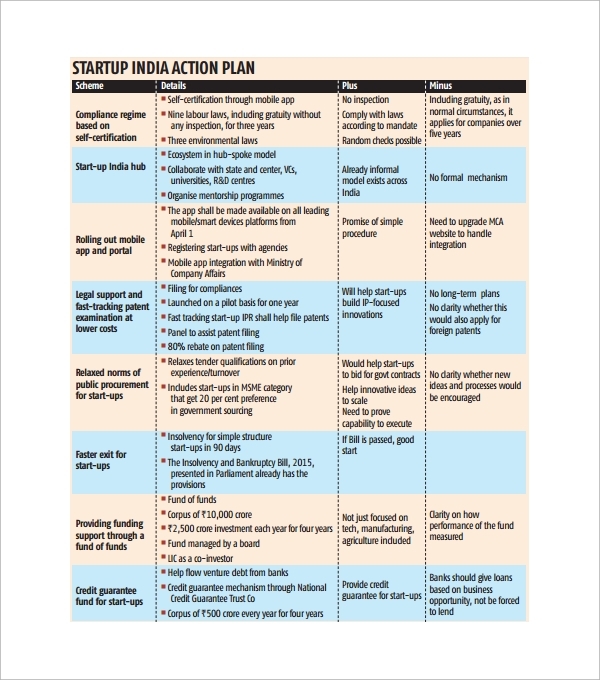 The following startup action plan template will guide you through the process. Having a business plan alone will not help you to set up a business. But devising a constructive action plan does. 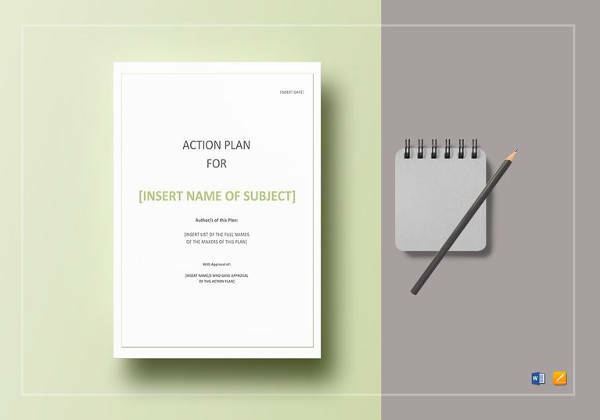 Action plan template essentially helps you to record and analyse data collected from research, target audience and to devise appropriate marketing and sales action plans. As a part of the daily chore at work, at a smaller scale, we are involved in handling various minor tasks such as sending an email newsletter, developing a small scale project using an excel spreadsheet or powerpoint presentations. These small scale projects might not need much of the thought at the first sight. But, sometimes missing on the key tasks might get inevitable. 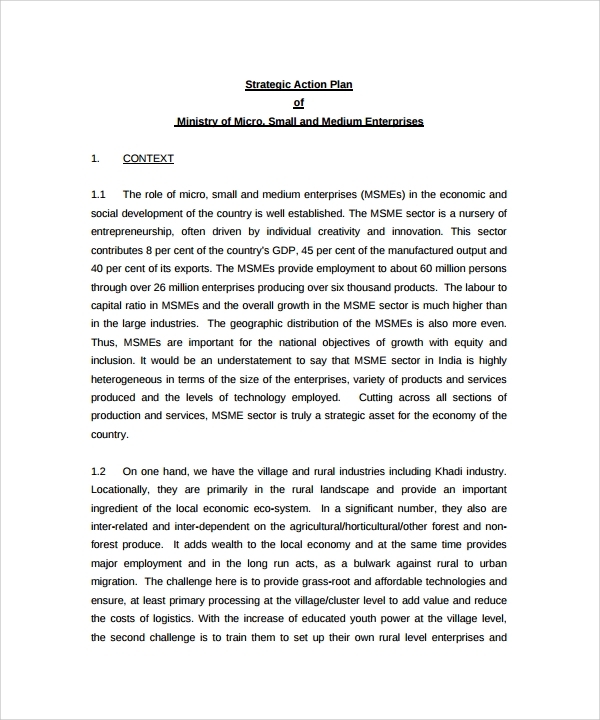 Small scale Action plan helps in organising, record keeping, analysing and reordering of project related data for the betterment of the respective project. To write an action plan is an act of predictive analysis, which is based on the data from ongoing, and the past action plan reports. 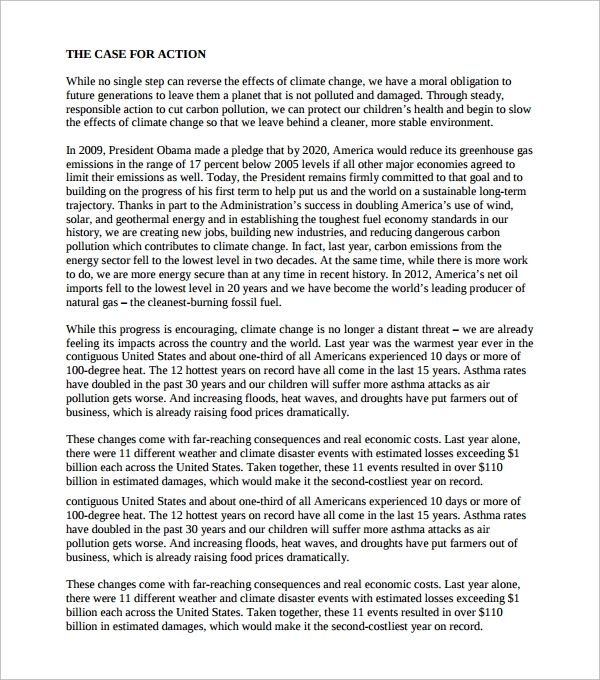 In order to ease the process of writing an action plan, it is recommended to have a written mission statement. If mission statement states about objectives to accomplish, as a part of the growth strategy. Having a definitive Project action Plan description, and short objectives to put ideas into actions helps to accomplish the mission. Template can be made in an easy word statement. The prime quality of template is to mentor and guide the on-going and future activities of the project to accomplish the desired objective. It is vital to include human resources as the part of the plan, including team members, prospects, clients, and leaders all in a separate section which enables to organise, analyse and derive new ideas which help in building better strategies and to reduce the pain points. Every manufactured product is meant to be sold. In a market full of competitors where customer behaviour is modulated by media advertisements and promotions, it is an intimidating task to sell everything a company manufacture. To face such situations and stand out of the crowd, it is advisable to write an ‘Action plan’. A sustainable Management Action Plan is predictive and ongoing, should be able to mentor the ongoing activities, while helping to devise new ideas asserting perspective modulations to accomplish the end goal. Conclusion: Every new project is aimed to accomplish an objective. The success rate of the project depends on the strategy and timely actions taken as the project commences. Deriving a most convincing action plan is advantageous since it allows you to strategise the future. That means you know the future of the project now. Data record keeping will help you to monitor the project happenings at any point of time. Data analysis helps you to recognise pain points, derive new ideas in order to overcome those pain points, and help you to stay on the cutting edge of the competition.